About Us - Tommy H. Chen, M.D. Dr. Chen was born in Shanghai, China, and grew up in the British Colony of Hong Kong. He came to the United States after high school to pursue further education. After graduating from Erskine College, he attended Emory University School of Medicine where he received his M.D. as well as completed his dermatology internship. He then served in the military as a flight surgeon in the United States Air Force at Clark Air Base in the Philippines. Upon returning to the United States, he trained in the dermatology specialty in the United States Navy at Naval Regional Medical Center in San Diego, CA. 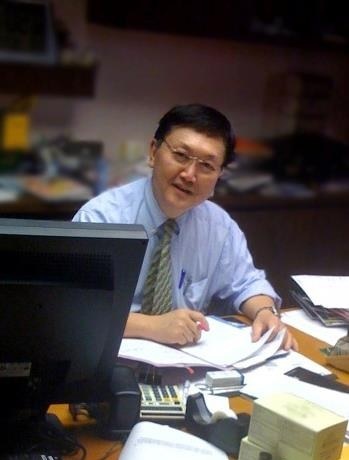 Dr Chen has received certificates of special trainings in Aerospace Medicine and Infectious Disease. He was a staff dermatologist at Long Beach Naval Hospital before he returned to civilian life and started his private practice in the San Gabriel Valley area. He is board certified by the American Board of Dermatology, and is a fellow of the American Academy of Dermatology. Locally, he is an active member of Los Angeles Metropolitan Dermatology Society and is a board member of the Society, serving as its president in 2016-2017. While building up a practice in dermatology, Dr. Chen maintained academic affiliation with Keck School of Medicine, USC, holding the position of Clinical Professor in the Department of Dermatology since 1989. In addition, he is also an attending physician at CHLA Peds Derm Clinic, and Huntington Hospital Internal Medicine Residency’s Dermatology Clinic. Dr. Chen currently serves as the President of the Los Angeles Metropolitan Dermatology Society, where has been a board member since 2010, and a member since 1981. He is also a fellow of the American Academy of Dermatology, the largest organizations of dermatologists in the world. Dr. Chen’s main interest is medical dermatology with focus on conditions including psoriasis, vitiligo, rosacea, urticaria, hyperhidrosis, melanoma and nonmelanoma skin cancers, mycosis fungoides, and eczema, using both conventional treatment modalities, as well as new advancements of biologic agents. He provides comprehensive care for psoriasis and vitiligo, including narrowband UVB total body phototherapy, as well as targeted UV treatment with Excimer laser.